Model City Spring Bouquet Collection! I've got a gorgeous collection to make you "Think Spring!" today! It's the Model City Polish Spring Bouquet collection, and it's full of gorgeous pastels. These pretties have a soft flaky shimmer and a smattering of holographic glitter. Let's start with Primrose, a pale yellow crelly-ish base with holo and yellow flakies. I used three thin coats for what's pictured. The formula went on smoothly, and I had no issues. Hmmmm Hellebore, such a lovely shade of green crelly. There's gold flakies in there, along with the holo. Such a great color for spring! 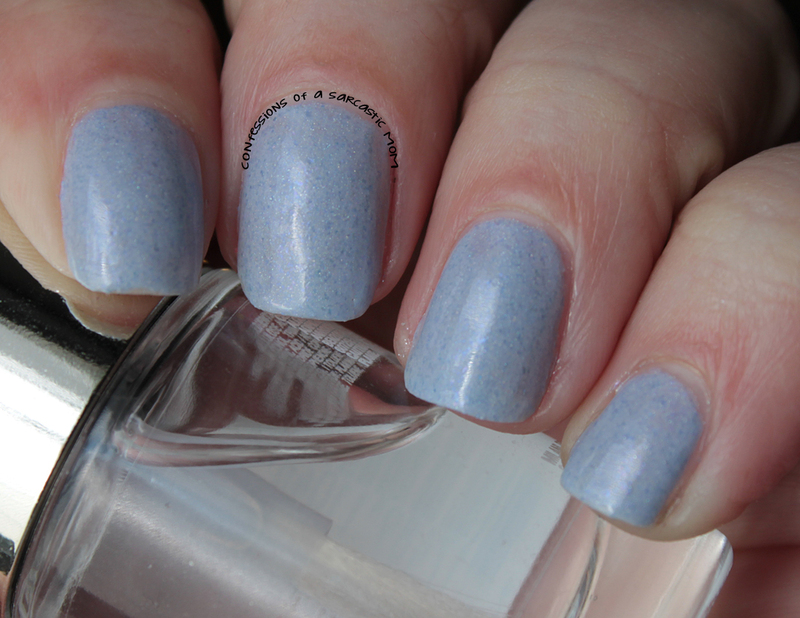 I was able to get this opaque with two coats, however, my coats were a tad bit thicker than I normally like to apply. Great formula. Self-leveled so easily. Fritillaria is one of my favorites of this collection! It's an orange-y coral crelly with, what looks like to me, gold to orange shifting flaky shimmer and, of course, the smattering of holo. It is simply breathtaking, and you know I love a good orange! 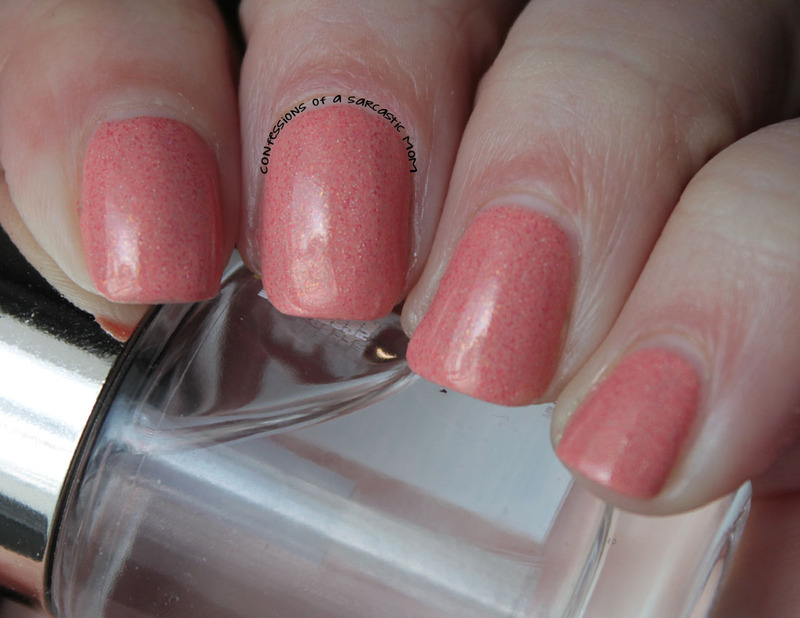 I used 3 thin coats for what's pictured, and the formula is great. You know me and pinks! Azalea is up next, and while I'm not a pink girl, this one is closer to the darker end of the spectrum. I tend to lean more toward the deeper pinks, ya know. 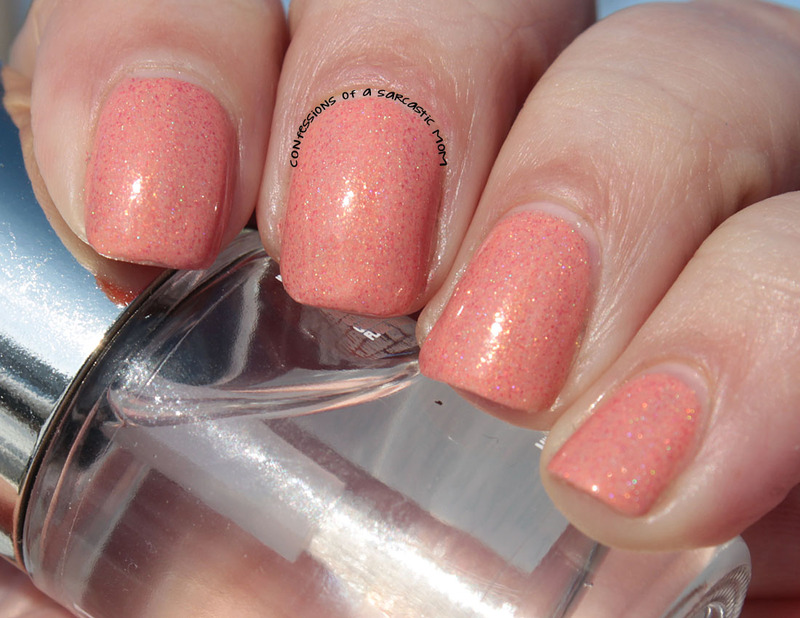 This is sort of bubblegum-y, tho, and has the holo along with pink flakies. The formula was a tad thicker than the others, but I still used 3 thin coats. Pennyroyal is a pale lavender-ish purple with blurple flakies and holo. This one is kind of deceptive. You don't know just how pretty it is until it's under certain light. The sun brings out the holo, but the inside shots really bring out the flakies! I used 3 thin coats for what's pictured. So what do you guys think? I LOVE this collection, especially Himalayan Poppy! I think everyone should own that polish! The good new is that you can - and I have a 10% off code for my readers for the next 7 days! Use "CONFESS" at checkout and get 10% off your order! Each polish is available in 2 sizes, full-size for $10 and mini for $5. Plus, every order with a new spring shade will get a cute fimo cane in either a flower of butterfly. I got a flower, and it looks so cute with Himalayan Poppy!